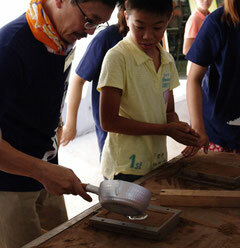 I held the workshop of medal making with the "vacuum pressurization type" casting machine. 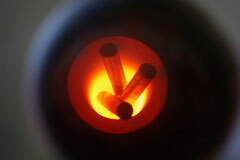 I am making the medal by this method as direct casting of plants.The feature of a "vacuum pressurization type" can perform the dissolution of a metal and casting in a vacuum, and it is the feature that epoch-making very fine casting can be performed. Finish is boiling patina. 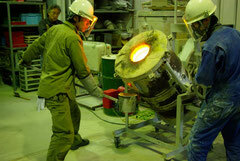 Boiling patina is Japanese traditional coloring. The medal with a feeling of volume was built with the workshop of lost wax casting of bronze this time. It was a workshop which the student of a design who is usually precise and is casting with the first student of the pictures course to experience casting joins.